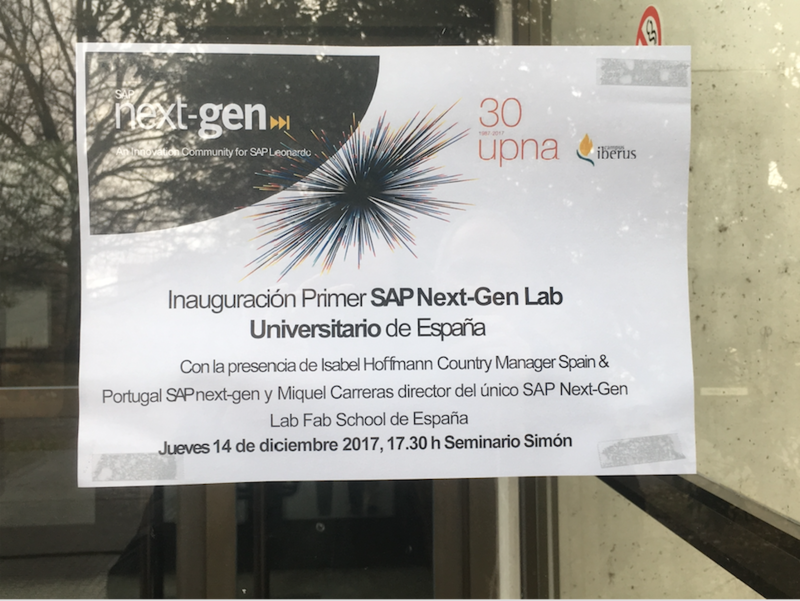 “Inauguration of the first University SAP Next-Gen Lab in Spain” Thursday December 14th, 2017 at 17:30. This is what all the students and lecturers of the Universidad Pública de Navarra (UPNA) could read on the door of the faculty of economics and business last Thursday. 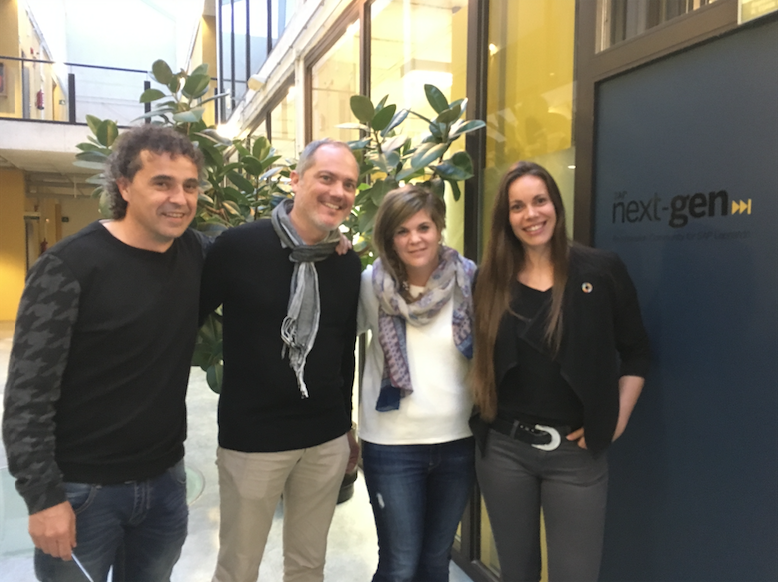 Also the SAP Next-Gen team had the great pleasure to be in Pamplona assisting to the opening event of the second SAP Next-Gen Lab in Spain, the first one in cooperation with a University. 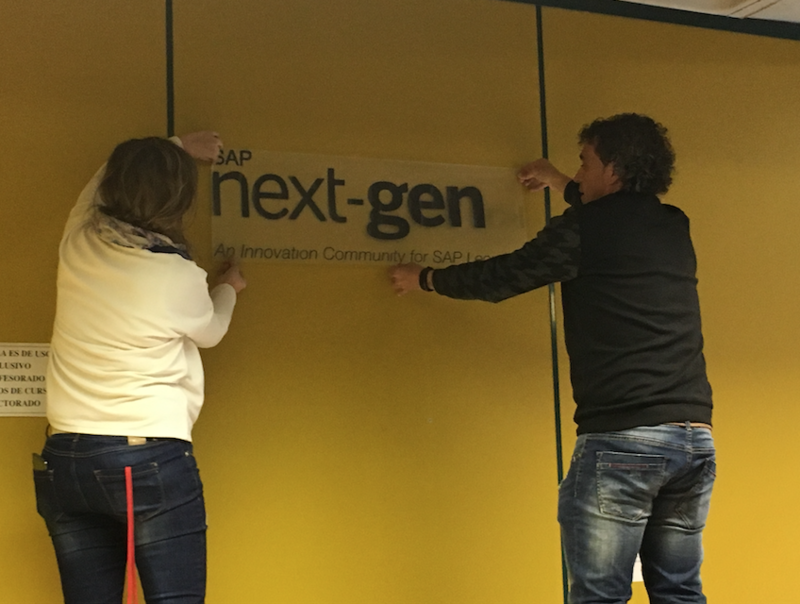 Since there is no SAP Next-Gen Lab without a proper branding, we made sure that everything was in place before the invitees arrived. 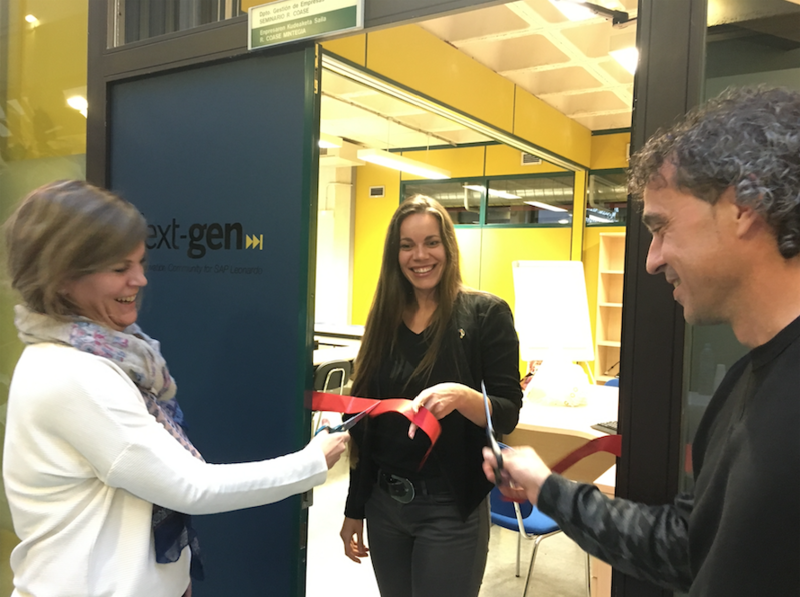 After branding the SAP Next-Gen Lab, Andrea Ollo and Santiago Sánchez, directors of the SAP Master in business process management with integrated systems – ERP, cut the red ribbon to inaugurate the first SAP Next-Gen Lab in collaboration with a Spanish University. Once the SAP Next-Gen Lab was officially opened, the event could start. Andrea Ollo welcomed the audience (formed by Cristina Bayona, Vice-Rector for Students, Employment and entrepreneurship; Lecturers of the SAP Master and other departments, students and former students) and presented the agenda and the speakers for the day. Afterwards, Isabel Hoffmann, SAP University Alliances & SAP Next-Gen Country Manager Spain & Portugal, gave the audience some insights into how SAP cooperates with educational institutions globally, which projects and collaborations we have around the world and what the current situation in Spain is. 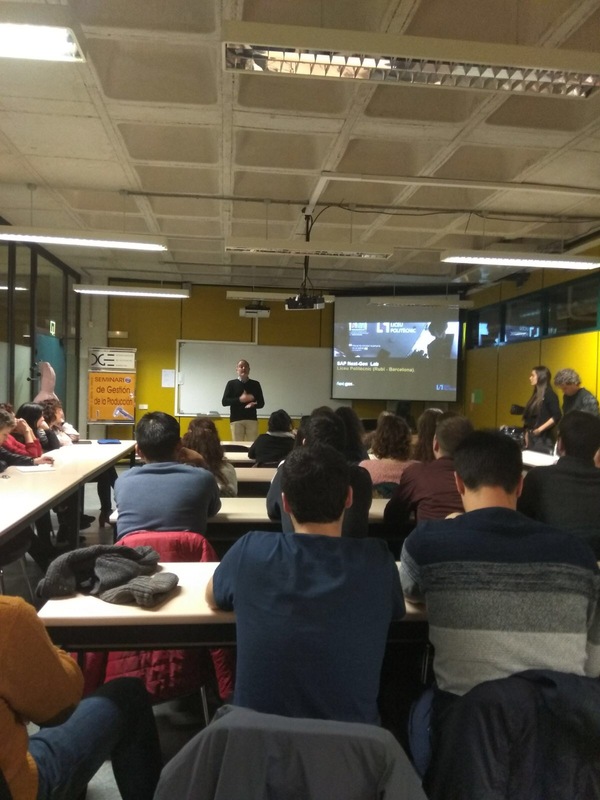 We were lucky to count on the presence of Miquel Carreras, director of the SAP Next-Gen Lab Liceu Politècnic, who shared his experience with us and presented some of the projects the scholars have developed so far in the Lab. 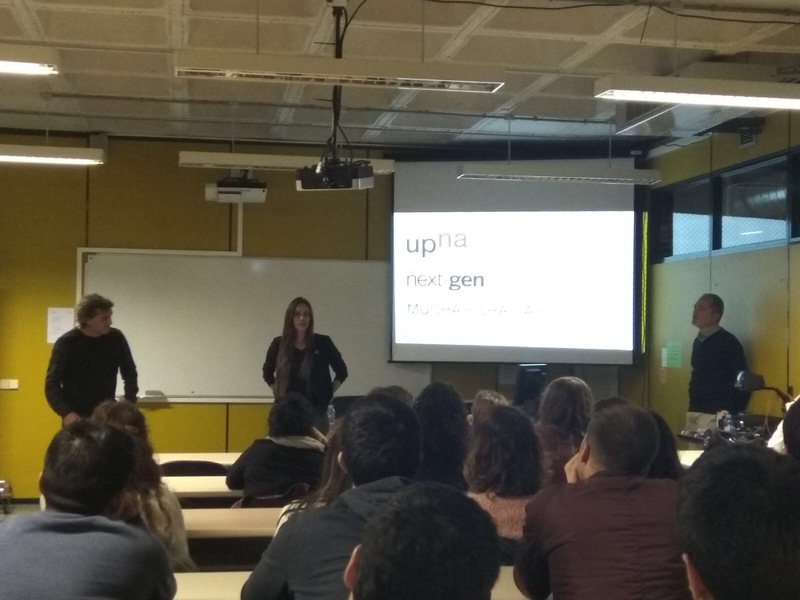 Before going over to the networking and the appetizer, Santiago Sánchez and Isabel Hoffmann closed the event by sharing with the students and the lecturers the first SAP Next-Gen Consulting Project they will work on. The students will support the lecturers with the creation of Global Bike Spain S.A., the fictitious enterprise that rounds up the SAP University Alliances curriculum and offers the students the possibility to recreate a real scenario. Currently there are a German and an American company the students can work with, for the next academic year, SAP University Alliances will also have Global Bike Spain in its curriculum, accessible to all the SAP University Alliances full members worldwide. Thank you very much to UPNA for making this possible! 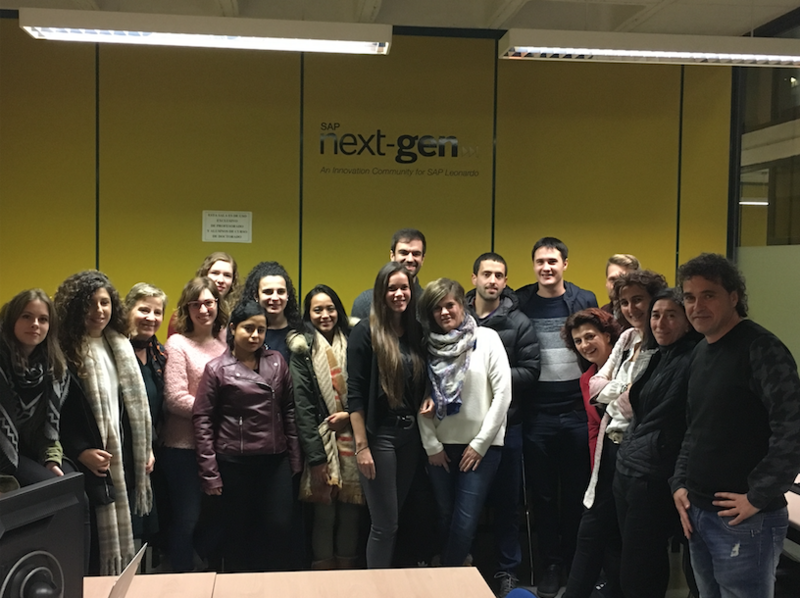 Keep your eyes and ears open to be up to date about upcoming events and activities at the SAP Next-Gen Lab UPNA! A special Thank You to Cristina Bayona for her participation in this event and her great commitment with SAP over the last years, to Andrea Ollo and Santiago Sánchez, who are always open-minded and motivated to start new crazy ideas, to Miquel Carreras for his collaborative spirit, to Harald Kienegger and the rest of the colleagues from the Competence Centers Munich and Magdeburg for their engagement and enablement for this first project, and, of course, to the whole SAP Next-Gen Team!